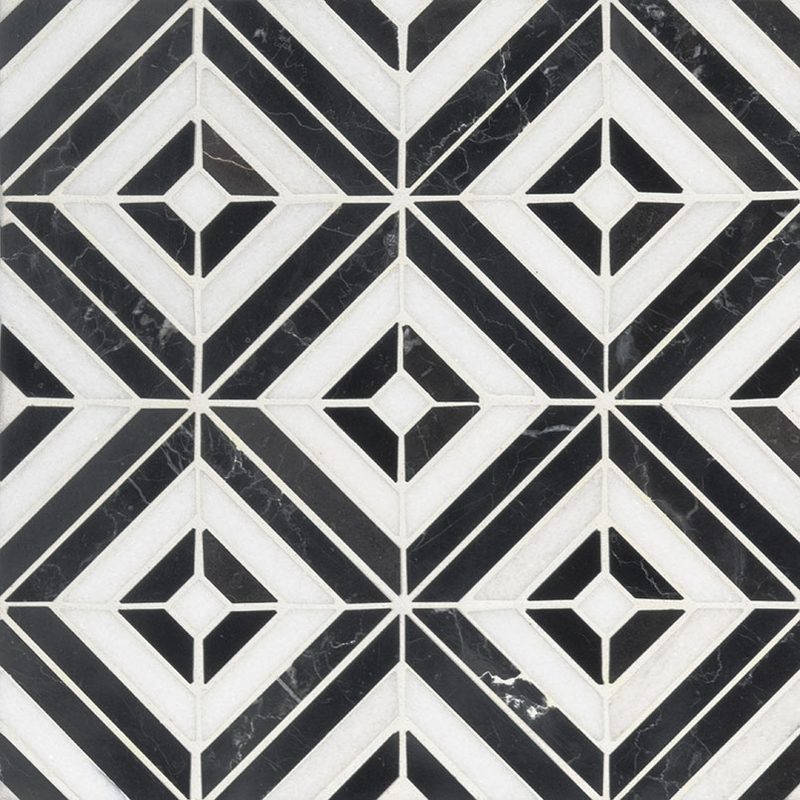 Rhombix Nero Mosaic Tile is crafted from fine natural stone. Featuring an intriguing diamond pattern created from alternating black and white marble, this tile evokes a sense of sophistication and dimension. Versatile and beautiful, its polished finish and neutral color make it suitable for a wide range of design styles and color schemes. Use Rhombix Nero Mosaic on residential, light commercial, or commercial floors, walls, backsplash, shower surround, or almost anywhere a distinctive pattern is desired. These tiles are Greenguard Indoor Air Quality Certified® and come mounted on mesh-backed sheets for a simplified installation and professional finish.